According to My Aged Care, there are over 352,100 people employed in the aged care sector in Australia. There are lots of career options, both in residential and community settings and in a variety of direct-care and non-direct care situations. But when we think about the day-to-day realities of working with the elderly, a lot of us might be put off. A career in aged care might seem gloomy or depressing from the outside and perhaps at times even unpleasant. 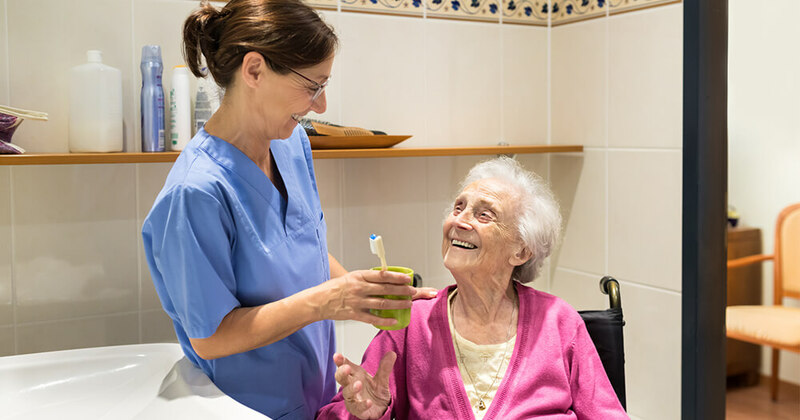 But as anyone who has worked extensively in aged care will tell you, there are many rewarding and fulfilling aspects of the job that you might not have considered. 1. When you spend a lot of time with the elderly you begin to develop a deep respect for resilience. Particularly when you see the way that resilience builds over the course of a lifetime. This means that you begin to develop a greater sense of resilience for yourself, which can have a lasting benefit, particularly when it comes to dealing with difficult situations. 2. You really understand how important social connectedness is. When you work with people who are facing the end of their life, you can see the true value of social interaction right in front of you. For some, this might mean working harder on relationships with family and friends. 3. Working with the aged is also a daily lesson in the importance of keeping your mind and body active. This can mean that you work harder on your own health and wellbeing. 4. One of the greatest privileges of working with the elderly is hearing the stories of those in your care. Sometimes it is a tale of romance, sometimes war, but they are stories that can transport you to another time, which can feel very different to our own. 5. You get to experience the personal satisfaction of knowing that you are doing a job that genuinely makes a difference. 6. You get to witness miracles. There are lots of miracles in aged care. It could be a dementia patient remembering a loved one who has come to visit or a stroke patient learning to talk again. When you work in aged care you see things that people thought were impossible. 7. In practical terms, when it comes to working in aged care, there are lots of different options. You might be surprised to learn that jobs vary from nursing to administration. If you are interested in pursuing a career in aged care a good starting point is to check out the different range of career options and qualifications. You can also hear what people in aged care have to say about their day-to-day experiences. Because of advances in medical science people are living longer than any previous generation. And, with a generation of ‘Baby Boomers’ approaching retirement age, there is a big demand for Aged Care Workers. Ready to change your part of the world with a meaningful career? Download your free Aged Care course guide via the form below.